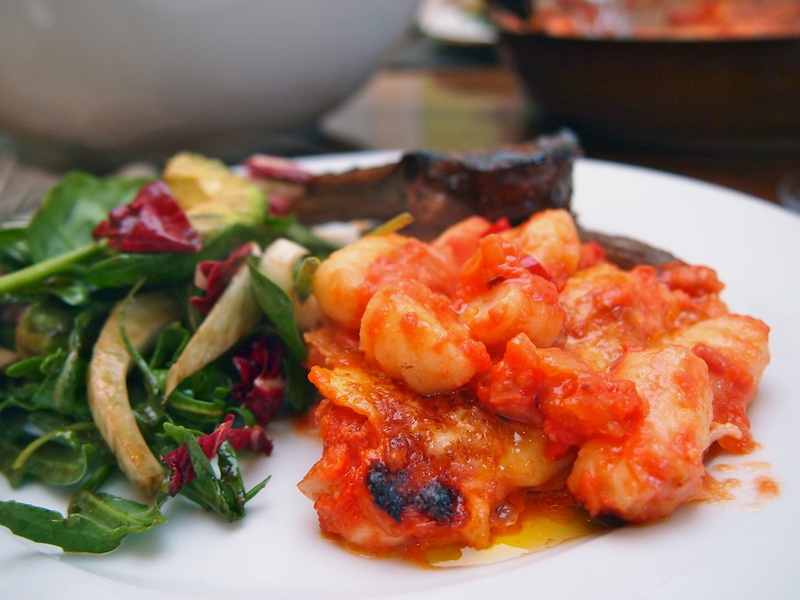 Gnocchi alla Sorrentina literally translates as gnocchi in the style of Sorrento but that really doesn’t mean much if you’ve never been to Sorrento and eaten their prized gnocchi dish. So forget about the name and just think of it as pillowy soft gnocchi coated with a gooey tomato and mozzarella sauce before being baked to golden perfection. 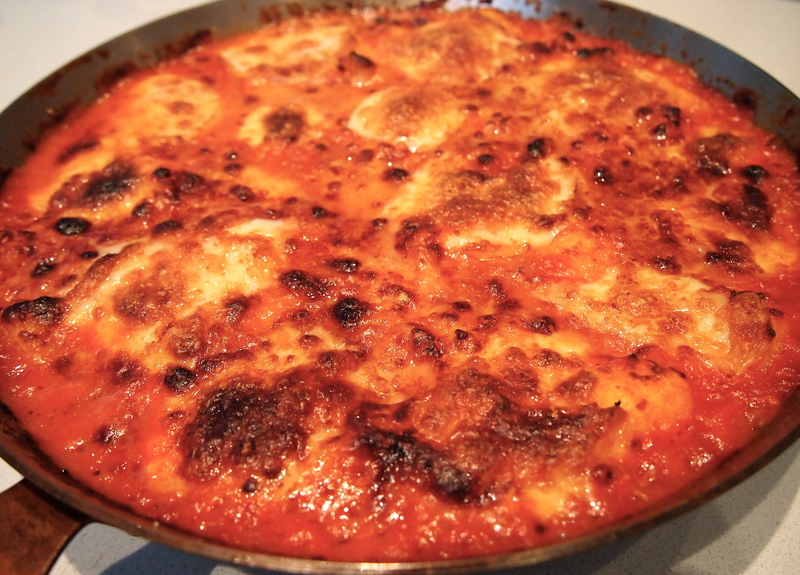 Traditionally this recipe is made only with mozzarella cheese but I like to add fontina into the mix to further enhance the stringy cheesy quality which it’s so well known for. Whilst this is an ample meal to serve for dinner on it’s own, with maybe a green salad, I often like to serve these vegetarian baked pasta’s as a side dish instead of potatoes or other starch. 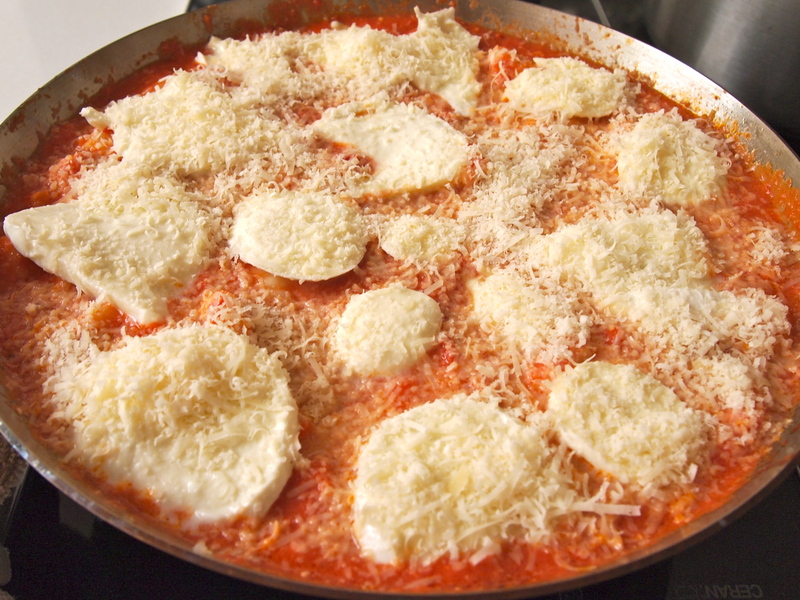 There are only a few ingredients that go into making this dish so it’s important to use the best quality of each that you can, especially the cheese and the tomatoes. Obviously the gnocchi play the starring role and you can certainly make these yourself but that’s an endeavour I’ve yet to undertake so I make sure to buy very good quality fresh gnocchi from the refrigerated or frozen section of an Italian delicatessen or supermarket. I don’t think the vacuum packed gnocchi are as good for this particular dish. Bring a large pot of salted water to the boil and add the gnocchi. Cook according to package directions being careful to not overcook them. I like to take the gnocchi out as soon as they bob to the surface, especially as they will be baked later on. Set aside the drained gnocchi. Heat a medium size frypan or saucepan and add a few tablespoons of olive oil. When the oil is hot add the onion along with a pinch of salt and cook, without colouring, until the onions are transparent and soft. Add the garlic and chilli flakes and cook for a few more minutes. Add the tomatoes, sugar, basil leaves, a little more salt and the parmesan rind. 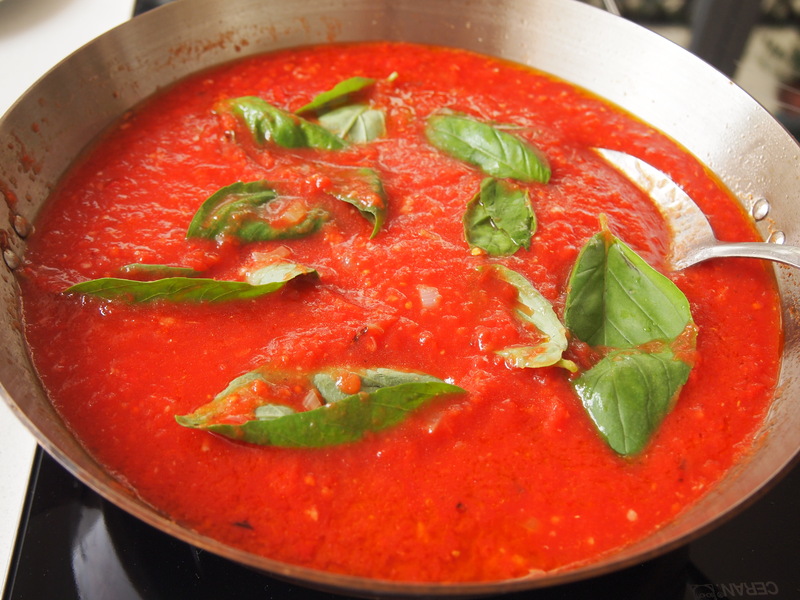 Rinse each of the tomato tins with a little water and add this to the sauce. Bring to a simmer and cook partially covered, over low heat for 30 minutes. Remove the basil leaves and parmesan rind and take off the heat. 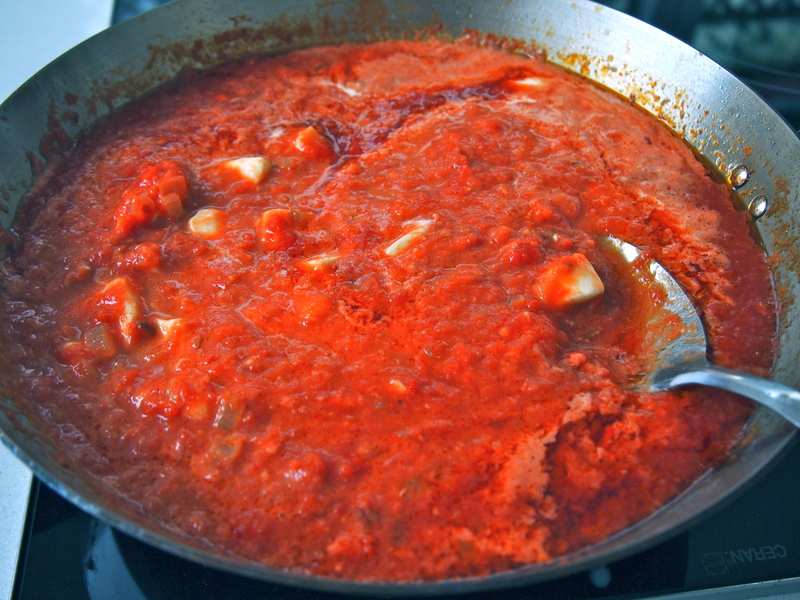 Add the diced fontina, diced mozzarella and cream to the hot sauce and stir through until melted. Taste for seasoning and adjust if necessary. To assemble the dish place the gnocchi into a large bowl and add the sauce. Stir through gently until well mixed and then transfer to a shallow baking dish. Top with the sliced mozzarella and parmesan. The dish can be assembled up to this point in advance and refrigerated until required. To cook, take the pasta out of the fridge and bring to room temperature. Place in preheated 180C oven for 30 minutes or until the sauce is bubbling and the top is golden brown. Let the pasta rest for 10 minutes before serving.